Stockings appeared before pantyhose, but this article is going to skip this step for the sake of time and get straight to how pantyhose entered Russian market. Today it may be hard to imagine what it was like to live in the tough and turbulent times of the Union of the Soviet Socialist Republics. Women didn’t have time to think about fashion at all as they were concerned with more immediate and essential topics, like "How to feed the family?" and "How to save some money?" 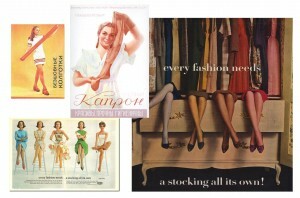 Such concepts as "clothes in style", "shoes for fashion", and especially "sensual stockings" didn’t exist. But women under any circumstances and any regime still are women, they have a desire to be good-looking and attractive for the opposite gender, so even in those difficult years they somehow managed to do that. The most mundane period in the history of the soviet fashion continued for almost thirty years, stretching from establishment of the Soviet Union until after-war times. At that time there were almost no clothes or fabrics for sale. So whatever clothes people had, they wore it into holes, mending it and stitching it. The situation with underwear and lingerie was not any better Р“СћРІвЂљВ¬РІР‚Сљ only women living in cities from the intellectual class could afford wearing knickers and leggings. Otherwise for the rest of population stockings were knit from sheep wool at home. When Nikita Sergeyevich Khrushchev came to power, things changed slightly; there started the "thaw". The iron curtain was raised and producers from Czechoslovakia got an opportunity to offer their textiles to the Russian market. Pantyhose became the top selling product out of all rest. 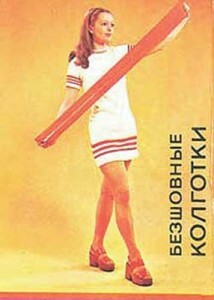 The modern name for pantyhose in Russian is «Р“С’Р’С”Р“С’Р’С•Р“С’»Р“С’Р’С–Р“С’Р’С•Р“вЂРІР‚С™Р“С’Р’С”Р“С’Р’С‘», pronounced "kolgotki". That word has an interesting origin, stemming from an error due to language barrier. This name, let’s just say, is a mistake that somehow became part of the language. When it first appeared in USSR in 1950’s, there was no such word to describe this garment. It was imported under the name "stocking-like leggings" (in Russian – «Р“вЂРІР‚РЋР“вЂР–вЂ™Р“С’»Р“С’Р’С”Р“С’Р’С•Р“С’Р’Р†Р“вЂРІР‚в„–Р“С’µ Р“вЂРІвЂљВ¬Р“С’µР“С’Р’в„–Р“вЂРІР‚С™Р“вЂР–вЂ™Р“С’·Р“вЂРІР‚в„–»), which in Czech is "kalhoty punР“вЂћР’РЊochové" (first word meaning "pants", second word meaning "stockings". As you may imagine, for a Russian consumer to ask for an item with such a long name was cumbersome. So they just started calling it by the first part of the phrase, kalgoty, that later evolved into a more Russian-sounding version "kolgotki" due to it being similar in sound to the Russian word for a verb "to fuss" as some linguists say. 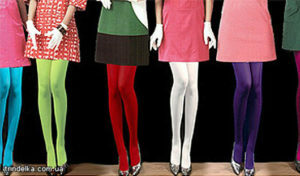 At the start of the 60-ies pantyhose became the object of envy in the Soviet Union. This accessory was rather a luxury and the price for it was from 7 to 15 rubles (the average salary was 90 rubles), so you can imagine how expensive pantyhose were at the time. That is why soviet women found a way how to produce them on their own. They took flannel wool knickers and sewed to them woolen stockings. In the 70-ies some pantyhose appeared on the market from the German Democratic Republic. Consumers would refer to them by two names that became in a way formal adjectives in Russian language. 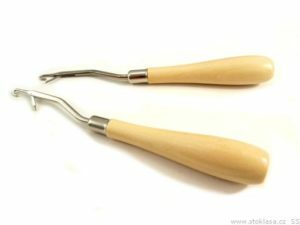 One of them meant "from GDR" (Р“С’Р’С–Р“вЂР’РЊР“С’Р’Т‘Р“вЂР’РЊР“вЂР’РЊР“вЂРІвЂљВ¬Р“С’Р’С•Р“С’Р’Р†Р“вЂР’РѓР“С’Р’С”Р“С’Р’С‘Р“С’µ, pronounced as ge’de’er’ovskie) and the second meant "made of dederon" (Р“С’Р’Т‘Р“С’µР“С’Р’Т‘Р“С’µР“вЂРІвЂљВ¬Р“С’Р’С•Р“С’Р’Р…Р“С’Р’С•Р“С’Р’Р†Р“вЂРІР‚в„–Р“С’µ, pronounced de’de’ronovie). You may wonder what Dederon (DDR+on) means to begin with. It comes from the acronym DDR – Deutsch Demokratishe Republik. That was the name of the synthetic (polyamide) yarn. It’s a trade mark for hosiery yarn, just like Nylon. However these days it is no longer popular. 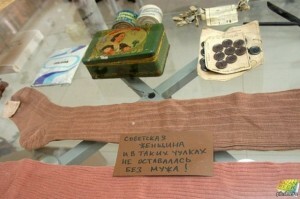 During that decade the prices for pantyhose were lowered to 3 rubles, considering that it was ranging from 7 Р“СћРІвЂљВ¬РІР‚Сљ 15 before. Due to the big hype around this product, the government decided to open local production of pantyhose and the Brest hosiery factory was established. After having bought those priceless pantyhose women wore them into holes, then mended them in a very artistic and creative way: they used not just threads but also their own hair if the colour of hair was the same as the shade of the pantyhose. This is a device or fixing runs in stockings. It lifts the loops. Shortly after, stores offered special knitting hooks for raising slipped loops in the weave (thus reconstructing the run). Soviet women fixed their hosiery with such hooks quite skillfully. It is not difficult to guess that such hook became a must have item in every household. Pantyhose were produced only in skin-tone colour and that is why Soviet women had to do incredible tricks to colour their pantyhose in ultra-fashionable black or white. They coloured their pantyhose with an ink brand called "Kolibri", used different kinds of medicine, they soaked pantyhose in vinegar, boiled them in bleaching powder. The results were very poor as a rule Р“СћРІвЂљВ¬РІР‚Сљ the pantyhose just were falling into pieces or shed colour. It was not uncommon for these pantyhose to paint the owner’s legs after the first walk in the rain. The demand was so high that in a popular magazine "Rabotnitsa" (meaning "The Female Woker") they even published useful advice on how to prolong the life of pantyhose. For example, you could read such advice as: "to make your pantyhose wear longer put them for a couple of hours in the fridge", or "the pantyhose will wear longer if you first wash them in soap foam". Chinese fake pantyhose that filled in the market at the end of the 80-es also couldn’t avoid the attention of the Soviet women, because those pantyhose were made from nylon and were transparent Р“СћРІвЂљВ¬РІР‚Сљ exactly like the pantyhose which were worn by American TV starts! 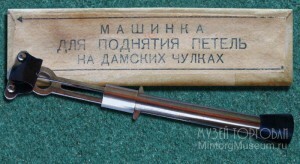 The introduction of this product in the Soviet market introduced also the start of a new era when women were able to have an ability to choose something of good quality and at affordable prices. Pantyhose became a real cult. Women cried while watching films where robbers cut pantyhose and put them on their heads. If a soviet woman had got to rob the bank she for sure would use for that only old used pantyhose. And she would also have cut off one leg part only and another one she would save for a rainy day. Pantyhose were valued regardless of many technological and practical disadvantages (which are eliminated now by modern manufacturers). They were constantly slipping down and wrinkling at the knees, would get torn easily and required so much attention. But a Russian woman was able to solve all problems in the most unusual ways. Modern pantyhose and stockings are very different from their ancestors Р“СћРІвЂљВ¬РІР‚Сљ they are comfortable, elegant, functional, and even come in fantastic trendy prints. Hosiery has always been an integral part of the wardrobe of a modern woman and thus had an abundance of grateful buyers.